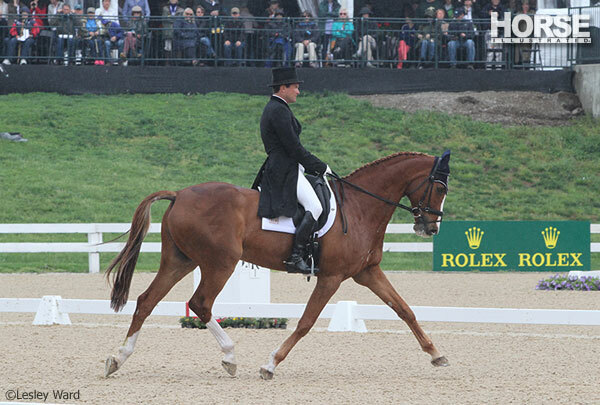 On a cold, windy, and sometimes-rainy day that spooked many of the horses, fan favorites Allison Springer and Arthur jumped into the lead following the dressage phase at the 2014 Rolex Kentucky Three-Day Event. Though he is widely known for his spooky antics, the 15-year-old Irish Sport Horse gelding kept a lid on it today and showed the type of spectacular, accurate test Springer knows he is capable of. They took a nearly five-point lead over the rest with a score of 39.5. “We know each other really well; as a competitor, he’s given me most of my milage,” said Springer. “I’m more relaxed, even though he was wild at lunchtime. 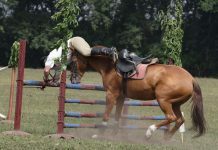 You have to ride the horse you have and try to do the best job you can. 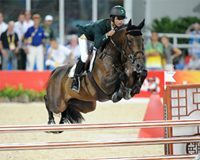 I think he remembered Kentucky!” The pair also led Rolex after the dressage in 2012, eventually finishing second to William Fox-Pitt of Great Britain. Speaking of Fox-Pitt, he put in a brilliant ride this afternoon on the 11-year-old Irish Sport Horse gelding Bay My Hero, taking the provisional lead with a 44.0 shortly before Springer’s ride. 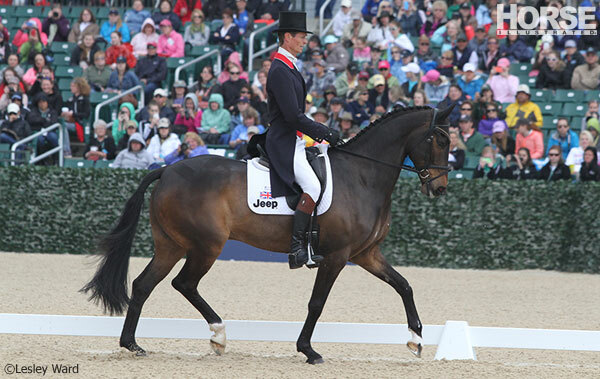 No stranger to Rolex, Fox-Pitt won the event in both 2010 and 2012. 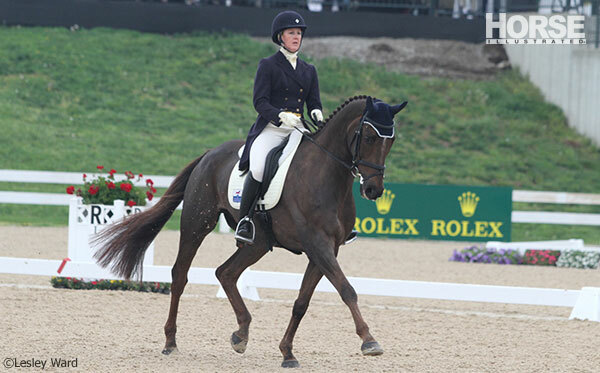 On Friday morning, Lauren Kieffer (USA) somewhat surprisingly took the provisional lead, eventually coming out in third at the end of the day aboard the 12-year-old Dutch Warmblood mare Veronica. Previously competed by Kieffer’s longtime mentor Karen O’Connor (an injury currently has O’Connor sidelined from eventing), the mare seems to have transitioned well between riders. Fox-Pitt agreed. “The angled beams look horrible. Really we’ve all been developing squints imagining they look better,” he said in his typical British deadpan delivery. It looks like the ground will be perfect for Saturday’s cross-country jumping after a fair bit of rain on Friday morning. 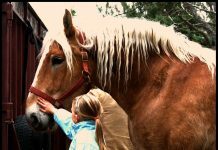 If you’re not lucky enough to be watching live in Kentucky this year, tune in to cheer for your favorites or catch replays at www.usefnetwork.com. Visit www.rk3de.org for ride times and full results. Keep up with all the 2014 Rolex Kentucky Three-Day Event and Kentucky Reining Cup news at HorseChannel.com/Rolex2014. Good Luck to all, horses and riders. Great Pictures! !